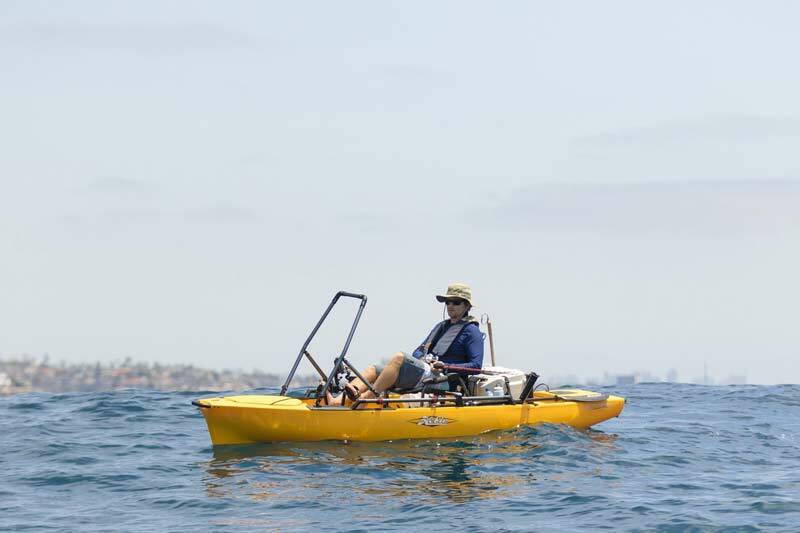 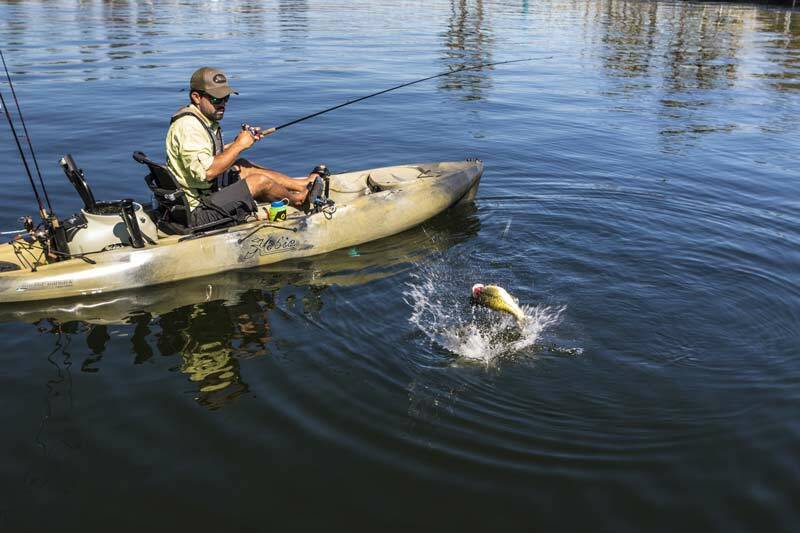 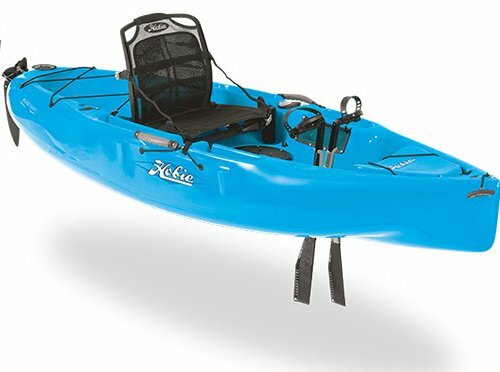 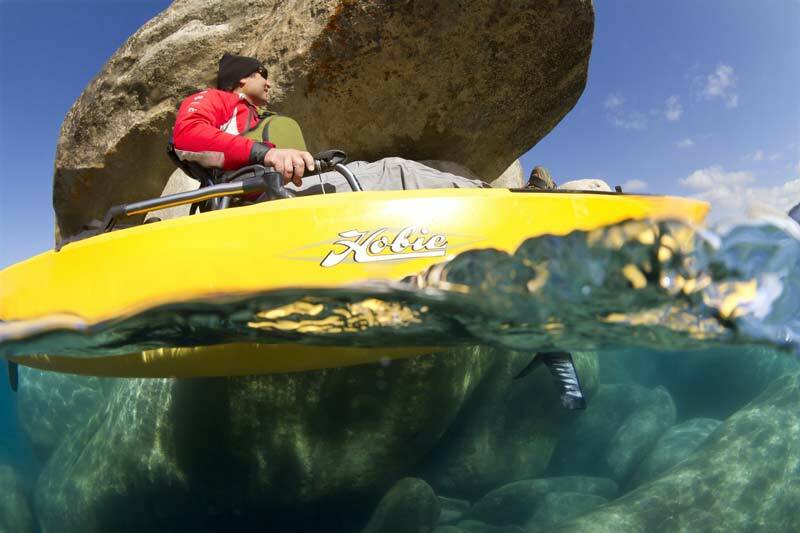 The Quest 13 from Hobie is the ultimate touring sit on top kayak. 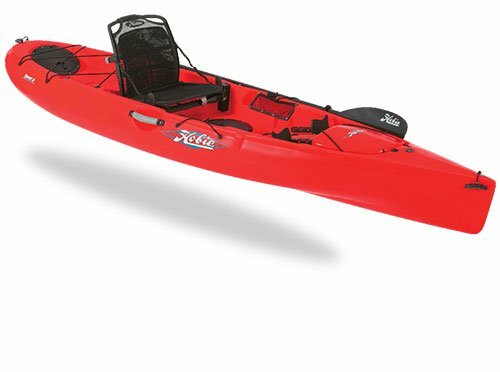 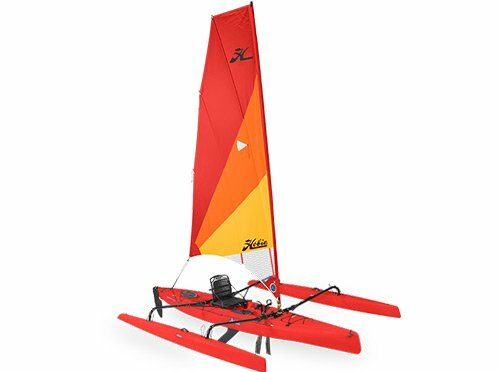 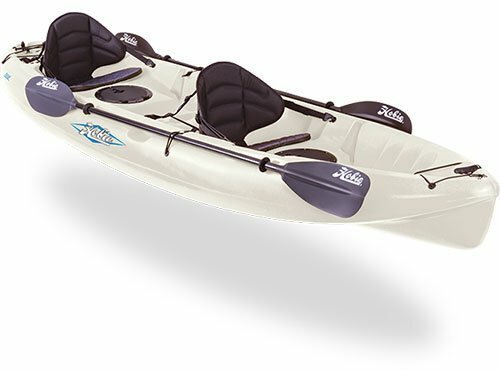 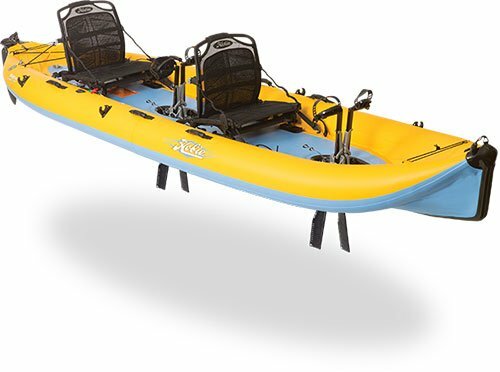 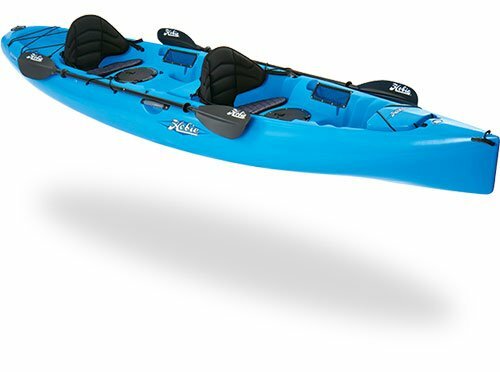 Perfect for the individual who wants the performance of a sit in kayak but with the advantages and freedom that a sit on top kayak offers. 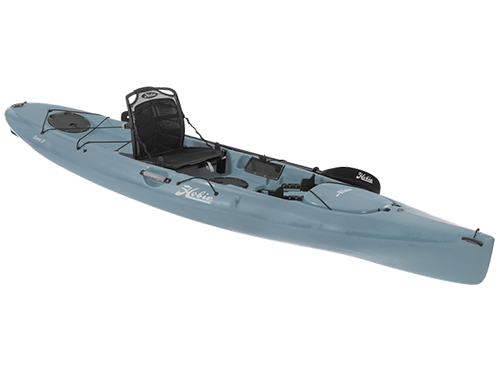 The rotomolded polyethylene hull features generous below deck stowage, ample space for tackle boxes or tents, plus molded rod holders for trolling. 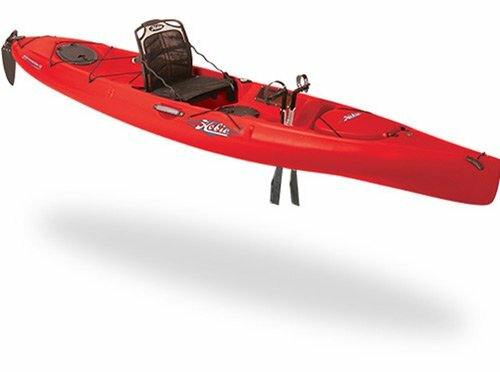 A large, Bungee-secured stern cargo area accommodates everything, and an optional Twist and Stow rudder with foot steering control keeps the bow pointed in the right direction.